There are quite a few people I know currently going through some serious health trials. 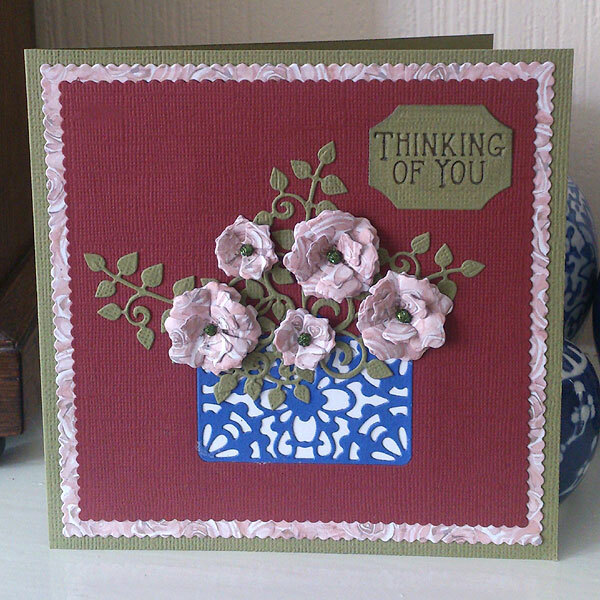 This "thinking of you" sentiment from Tonic Studios is getting used quite a lot. I love the letterpress look of this die and I always like to ink it first before running it through my die cutting machine. I always use a double layer of card to cut into...sometimes just a bit of scrap card behind...I find this makes the impression deeper and crisper on the top layer. 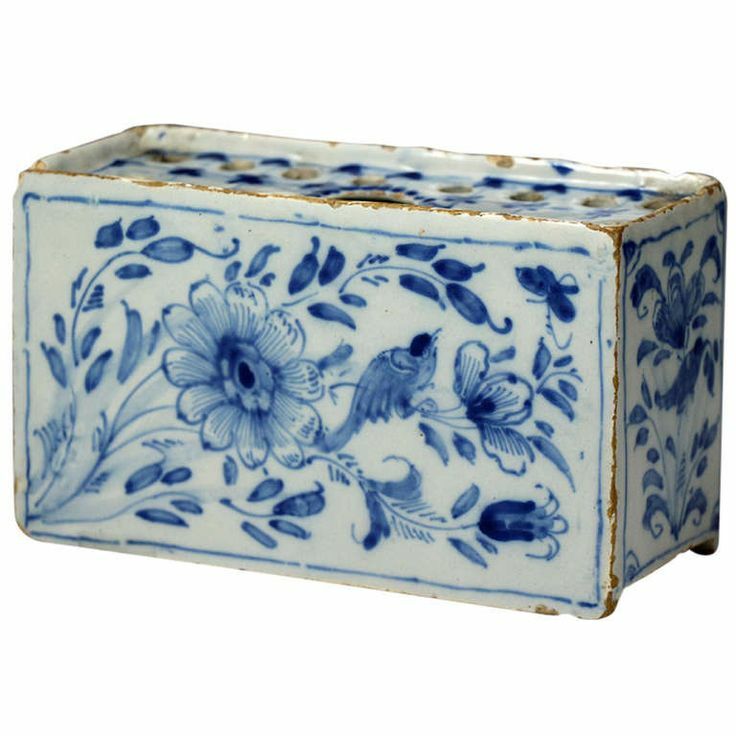 I have used the matinee purse rococo die to make a container for the floral arrangement as it made me think of porcelain flower bricks I have seen like the picture below - plus I am a bit of a blue and white china addict. 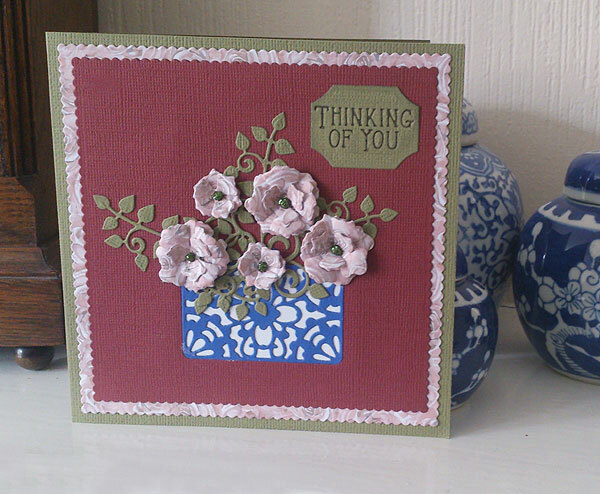 The papers are of course from Tonic Studios new Romantic Cottage paper collection. 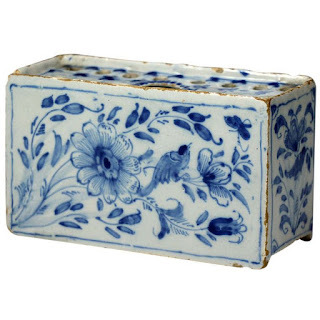 The flowers are from one of the Entwining Trellis sets. Time to go clear up the mess I just made in my craftroom!! !